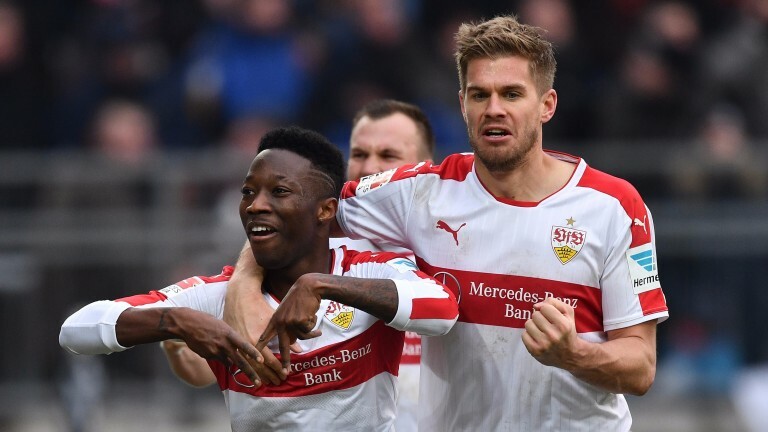 Stuttgart dropped out of the Bundesliga 2 automatic promotion places with back-to-back defeats at the end of 2016 but can return to the top two by defeating mid-table Fortuna Dusseldorf on home soil. Last season’s relegation was a major blow to Stuttgart, who were German champions in 2007 and participated in the Champions League knockout stage in 2010. They haven’t always looked convincing in their efforts to bounce straight back and doubts increased in the run-up to the winter break with defeats at home to promotion rivals Hannover (2-1) and away to Wurzburger Kickers (3-0). But last Sunday’s 1-0 win at St Pauli has settled them down and they are in a strong position – outside the top two only on goal difference and possessing a game in hand on second-placed Hannover, who surprisingly lost 4-1 at Greuther Furth on Friday. Nine of Stuttgart’s remaining 16 games are at home and they have little to fear from Fortuna, whose promotion hopes have faded after a four-game winless run. Fortuna didn’t manage to score in any of those games, although they may have more chance of scoring against Stuttgart if Togolese attacking midfielder Ihlas Behou is ready to resume after his exertions at the Africa Cup of Nations. Their main threat will come from striker Rouwen Hennings, who has scored five goals in 16 games since signing on a season- long loan from Burnley. But the visitors are likely to be outgunned by a Stuttgart side spearheaded by powerful centre-forward Simon Terodde, who has netted 11 league goals in his first season with the club. The tall striker was last season’s leading marksmen in the second tier with 25 goals for Bochum and he can continue to star in Stuttgart’s promotion bid.